As temperatures begin to drop during what many believe is the most magnificent time of year, it’s important to give your plants the needed care and protection to be sure that they last through the holiday season and well into the New Year. Unlike humans, plants don’t have the ability to bundle up, but you as their caregiver and provide the items they need to survive. Depending on the plant species you have in your home or garden, definitely start by considering tolerance to cold weather among each plant type, giving most attention to those that prosper in warmer temperatures as these are the ones that will suffer the most through the fall and winter seasons. Additionally, be sure to create and maintain a proper maintenance and watering system. We also recommend using an anti-desiccant product such as WiltPruf or Moisturin since with cold weather also comes dry air. 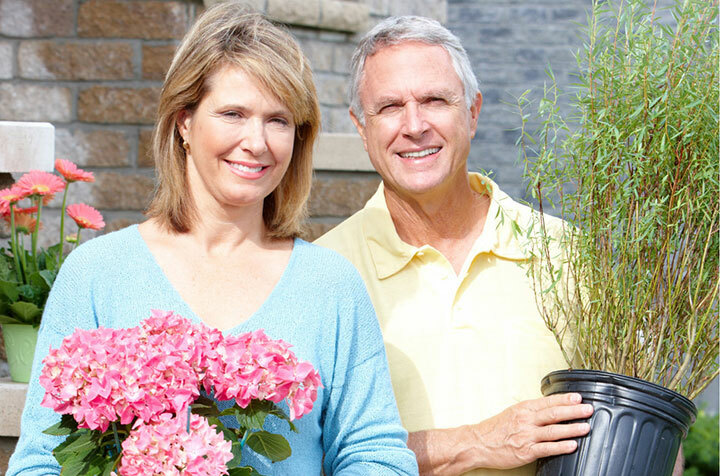 We can help you maintain your plants, yard or help with landscaping in various areas such as Moorpark, Westlake Village, Agoura Hills, Camarillo and more. Contact us today to make your home look just right for the upcoming holiday season! “We wanted to thank Gonzalez for giving us a great back. You did an excellent job..
You can share this videos with your Friends & Family to let them know of our work! Landscaping Services for a Water-Saving California!